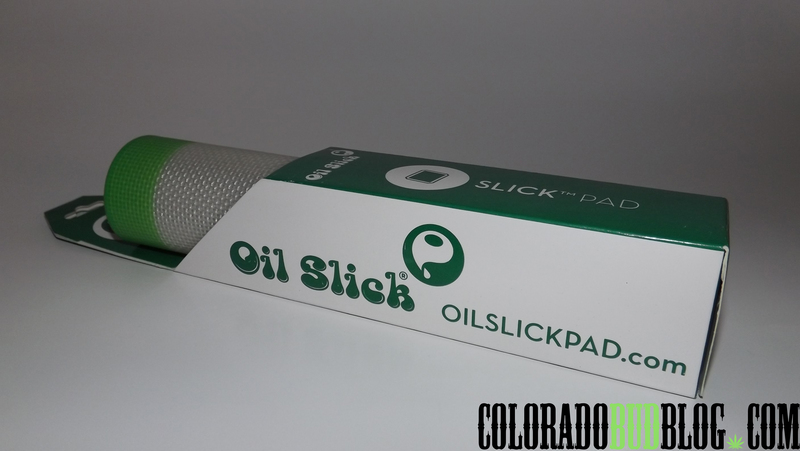 Oil Slick Concentrate Pad from Oil Slick. 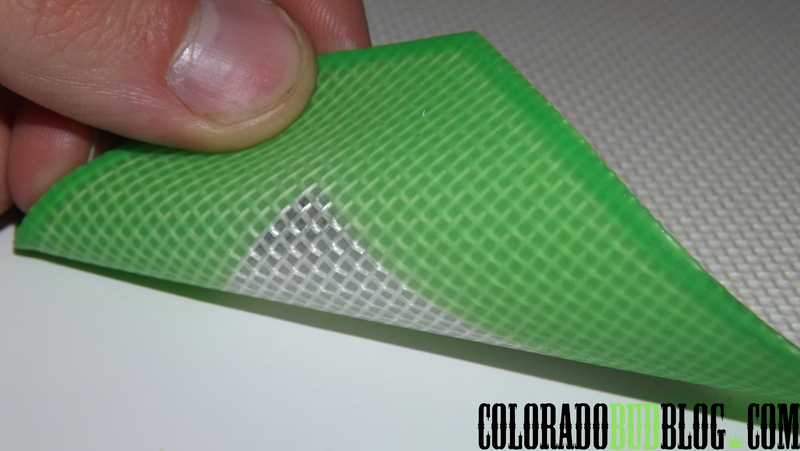 This is a 100% Platinum-Cured Food Grade Silicone” pad for handling concentrates. NOTHING WILL STICK TO THIS THING! 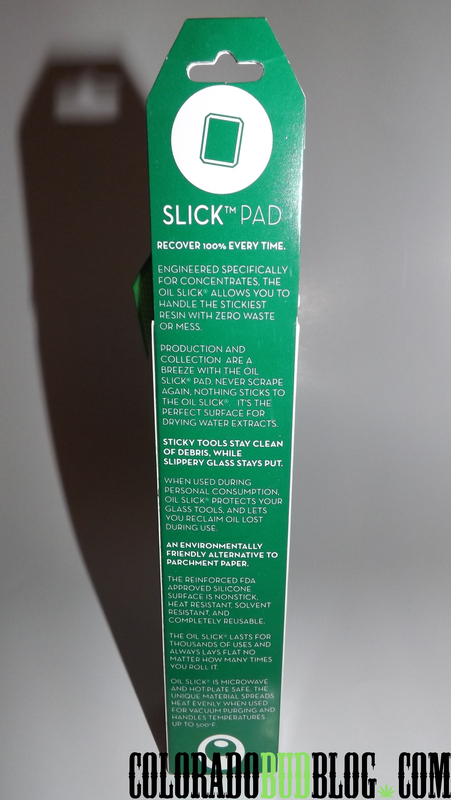 It is useful in a number of ways: collecting claim from dab tools, using it during purging fresh oil, or using it as a safe pad for placing your rig on. It is heat resistant to 500F.